Join us for a special night to honor our Midshipmen and Cadets at the five Service Academies. Reserve your discounted room at the Marriott Downtown. Click here to book your group rate for All Academy Ball. The last day to reserve your AAB discounted room is November 23, 2017. Major General Courtney P. Carr assumed duties as the 58th Adjutant General of Indiana on June 1, 2015. He previously served as the Deputy Director of Operations, Readiness and Mobilization, and also as the Director, G34 (Force Protection), at Headquarters Department of the Army, the Pentagon, Washington, DC. He also served as the Deputy Commanding General (Operations), 3rd Infantry Division, Fort Stewart, Georgia. Major General Carr is a 1983 graduate of the United States Military Academy, and earned a commission in the U.S. Army as an Armor Officer. In 2002, he deployed to Bosnia-Herzegovina as the Commander, 1-151st Infantry in support of SFOR-11, and in 2008, he deployed to Iraq as the Commander, 76th Infantry Brigade Combat Team, in support of Operation Iraqi Freedom VI. He earned a Bachelor of Science degree from the United States Military Academy, and a Master’s of Business Administration from the University of Chicago. His military schooling also includes a Master’s of Science in Strategic Studies from the United States Army War College. He is also certified by USNORTHCOM for Contingency Dual Status Command. 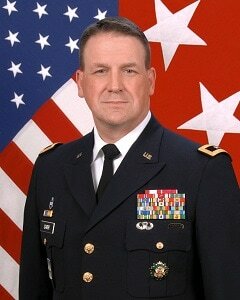 Major General Carr’s awards and decorations include the: Distinguished Service Medal, Legion of Merit, Meritorious Service Medal (Two Awards), Army Commendation Medal (Two Awards), Army Achievement Medal (Three Awards), Armed Forces Expeditionary Medal, Iraq Campaign Medal (Two Awards) and the Global War on Terrorism Service Medal. He is authorized to wear the Parachutist Badge, Ranger Tab, and Army Staff Badge. MG Carr resides in Columbus, IN, and has two children, Reagan and Evan. Click here to register for the AAB. Tickets are on sale now. The Indiana All Academy Ball is an annual, formal military gala planned to honor and celebrate the nearly 300 Indiana young men and women who currently attend one of the United States service academies: The US Military Academy at West Point, NY (Army), the US Naval Academy at Annapolis, MD, the US Air Force Academy at Colorado Springs, CO, the US Coast Guard Academy at New London, CT and the US Merchant Marine Academy at Kingspoint, NY. Get ready to hit the dance floor with Scott Morgan of ABC DJ! Interested in being an AAB Sponsor? contact the AAB Sponsorship Chairs. Presenting Sponsor for the 2017 AAB. Emmy award-winning John Stehr joined the Eyewitness News team as co-anchor of the 5 p.m., 6 p.m. and 11 p.m. newscasts in July of 1995. He came to WTHR from CBS News in New York where he was a network correspondent. His duties included business and personal finance reporting for "CBS This Morning" and the "CBS Morning News." He was also an anchor for the "CBS Morning News." John was a founding anchor of CNBC and, from 1989 to 1991, anchored business news for CNBC's "The Money Wheel." Before that, he was a news anchor and reporter at KUTV-TV in Salt Lake City, Utah. In 1982, Stehr anchored, produced and was chief reporter for the "Nightbeat" newscast on WISH-TV in Indianapolis. He also held anchor and reporter positions at WOTV-TV in Grand Rapids, Michigan, and WSEE-TV in Erie, Pennsylvania. 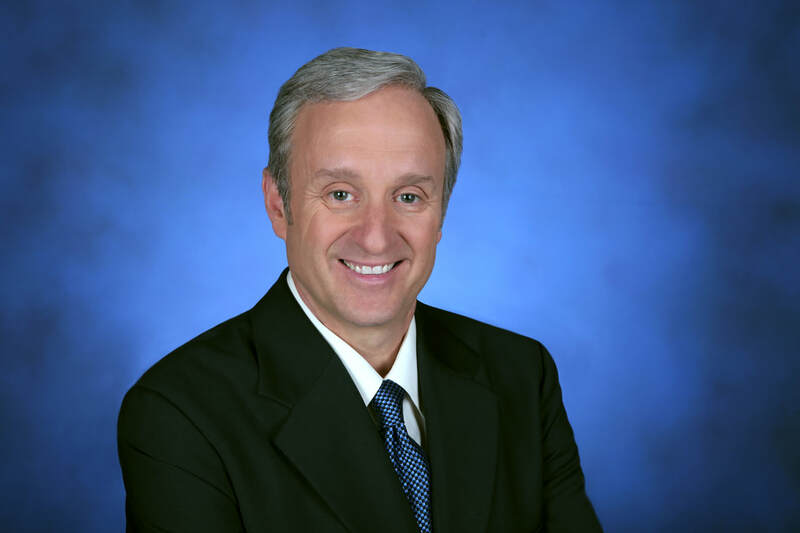 John is a multiple Emmy Award recipient, winning two honors for "Best Anchor" and awards for his work on the "13 Listens" community project and his documentary on Indiana Senator Richard Lugar's efforts to disarm Russia following the collapse of the Soviet Union. John began his broadcasting career while in college at WJET-AM radio and WJET-TV in Erie. He was born and raised in Pittsburgh and graduated from Erie's Gannon University in 1980. He is the only one of his graduating class to receive a "Distinguished Alumni Award." John has three sons; Jared (1987-1991), Morgan (1989) and Connor (1993); and three daughters, Riley (1998), Jeanie (1998) and Meredith (2006). John and his wife Amy make their home in Boone County.